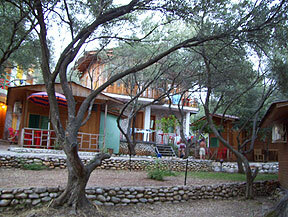 Dhermi, a landscape to remember! Albania is a country situated in the south-eastern part of Europe. Although being a small country, it has in it all kinds of landscape. Starting from the north, we have the Alps where there is snow all year round, many lakes in the mountains, waterfalls and some appropriate terrain for skiing slopes. Moving in the central part, we can find valleys, hills and mountains up to 1500 meters. While in the southern part there is a combination of high mountains over 1500 meters, rivers, valleys, forests and a beautiful beach. It is the southern part on which I want to focus in my landscape interpretation. 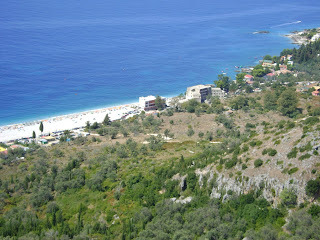 That is actually my favorite part of Albania and I have been visiting that area since I was very young. Therefore I have seen it changing in time. Changes have been different, in physical appearance and also in terms of services provided to natives of that area and to tourists. The change of services has also influenced on landscape. The main reason why there is a radical change today compared to 20 years ago, is the change of the political system. It was not until 1991 that the communist system collapsed and Albania embraced democratic governance. There are many differences between the two systems and these differences are consecutively reflected in the change of landscape. Other than that, there are many other cultural, social and geological reasons about the changes on that landscape. My intention is to share these changes and the reasons which brought to them in my landscape interpretation project. I have conducted a small activity when I was in Albania regarding the topic. Later on the paper I will further explain it. As I said the southern part is of my interest and I will focus my research in a place or village called Dhermi. Down this village is a beautiful long beach with a forest next to it. In the last 20 years the shape and content of the landscape has changed in a visible way. I want to start speaking first from a historical perspective and for the climate in that area. Historically speaking, before 1991, meaning during communism, the area has been very little frequented by people because of the system at that time, for which I will speak later in the political perspective. with strong winds, rains and with a higher tide of the sea has made most of the rock spots round and not sharp as they were before. There are also big parts of rocks falling in the sea because of the water activity on them for hundreds of years. These can be considered natural changes on landscape and they happen over long periods of time. More important are changes which are not natural and which happen in short periods of time. In the picture is shown a part of the landscape I am talking about and you can see the trees are not that dense in that area. As we know, nature or landscape is touched mostly by cultural, social and political issues. Looking the subject, which is Albania I would like to start from the political part. As I mentioned before, till 1991 Albania was under communism and different rules were applied in the society. One of them was about the maintenance of the natural habitats and natural landscapes. So the forest that you see in the picture above was very dense and had all sorts of tree fruits until 1997. During communism there was a scheduled caretaking for the forest, there were water canals to water the whole place and no one was allowed to take fruits or to go in the forest without any reason. These rules were valid till the beginning of 90’ till the communist traces disappeared completely. So in this case we have a political influence in protecting and maintaining the environment and landscape. I remember all the rules and measures because I have been visiting that place after the collapse of communism. It is really strange though how can politics and law influence in landscape. The difference in political system is very visible considering the fact that after 1991 in Albania people started having more freedom and their actions were not limited anymore. So areas which were frequented only by certain people could not be visited by everyone. This new trend, if I can called it like this, incited new investments in these areas looking that the number of visitors was increasing. This is the case for the area I am talking about. The free market and the right to open any kind of business was the new democratic trend in Albanian society and especially in the last 10 years, construction companies have been growing in number. 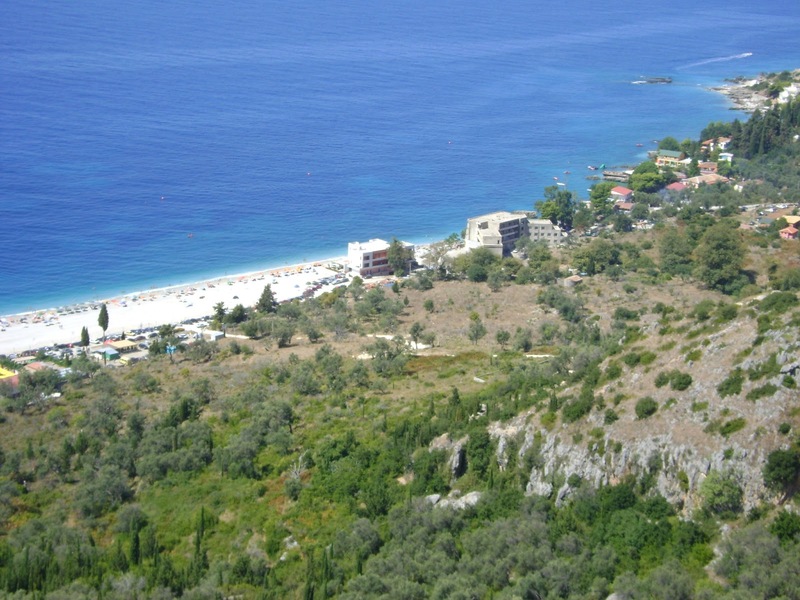 The touristic promotion of the southern part of Albania and the high number of tourists made so that many new building started to be built in that area. The landscape then was subject to change. 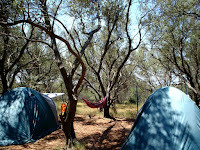 The next photos to show a small camping area with small cabins for tourists. It is visible the space created by cutting down trees and bushes in order to create some place for tents and cabins. Except the indirect political influence in this activity, it can also be the social influence. It is a handmade change from people of the area and still this comes from the political approach. In 1991, the new government decided to give a piece of land from the areas shown in the photo, to all the members of the former communist farms. This area has always been a property of the state and that is why it was so well maintained and it was like the highlight of the whole region there. By having a piece of land, native villagers decided to destroy the forest in order to build, camping sites, cabins and other buildings, to fulfill the tourism requirements and to increase their income.